"Abolition of Presidency through Constitutional Reforms is another proposal"
"Constitutional Reforms are considered one of the major proposals"
"Yahapalanaya Govt accepted allegations levelled against Sri Lanka"
he allegations on Human Rights violations, war crimes, missing persons dereliction of rule of Law, accountability, devolution of power etc. and proposals for rectifying those alleged violations are considered the crux of Joint UNHRC Resolution 30/1 of year 2015. Allegations on Human Rights violations have been used as a common strategy by US and Allies to interfere with internal matters of countries which they have identified as vulnerable in the process of enforcing Global Power Politics. They have been used to implement their own agendas on the pretext of regularizing Human Rights records of those countries, the end result of which would be disastrous to the very existence of the countries concerned. Several instances could be cited to substantiate this premise from the history of Global Power Politics. US led Allied Forces have already launched the above strategy in Sri Lanka as well through Joint UNHRC Resolution 30/1. It may be noted that the new title given to UNHRC by the current US President is that “it is a cesspit of bias politics”. It is appropriate time for Sri Lanka to review the credibility of Joint UNHRC Resolution 30/1 from that point of view. 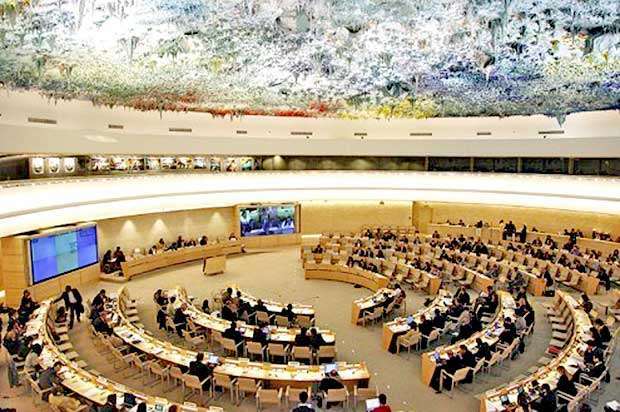 Joint UNHRC Resolution could be considered as a work programme or agenda of the conspiracy launched against Sri Lanka. "US and Allied Forces have realized that it was not possible for them to implement their agenda in this country as far as Rajapaksa Government remains in power"
US and Allied Forces have realized that it was not possible for them to implement their agenda in this country as far as Rajapaksa Government remains in power. Accordingly the first step of their conspiracy was to oust Rajapaksa Government and replace it with a pro-US weak leader. 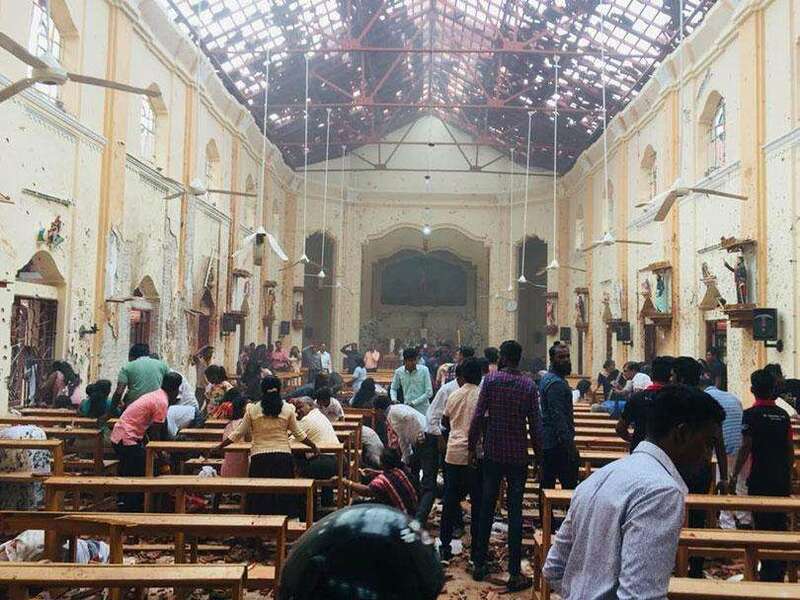 The second step of the above conspiracy launched against Sri Lanka has been initiated with the undertaking given by architects of Yahapalanaya Government to implement the proposals set out in Joint UNHRC Resolution 30/1, being its Co-sponsor along with US. Article 02 and 03 of chapter 01 of the present Constitution of Sri Lanka states that “sovereignty is in the people of this country. People exercise this sovereignty through legislature, Executive and Judiciary”. In that context concurrence of the people of this country or Parliament would have been obtained for assumption of the role of co-sponsor to Joint UNHRC Resolution 30/1 and to implement the proposals set out therein. Assuming of the role of co-sponsor to Joint UNHRC Resolution 30/1 along with US could be considered a betrayal of sovereignty of the people of this country. Yahapalanaya Government has committed a traitorous act by doing so. Yahapalanaya Government has virtually accepted almost all allegations levelled against Sri Lanka and agreed to implement the proposals set out therein. The architects of Yahapalanaya Government boast that they have successfully built up an effective and friendly foreign relationship by doing so in place of hostile foreign relationship that was prevalent during the Rajapaksa Regime. This is a distortion of facts. Rajapaksa had determined to fight terrorist outfit irrespective of the repeated requests of US and allied Forces to go ahead with negotiations with the LTTE, due to the fact that it had become the absolute necessity of the hour, without which Sri Lanka would have been divided into two countries. Rajapaksa was well aware that almost all negotiations conducted with LTTE by Wickremasinghe in connivance with US and its allies ended up as utter flops. The attitude of US and its allies towards Rajapaksa Government had become hostile due to the fact that he had ignored their request above referred to and opted to save mother Lanka from the LTTE grip by eradicating it through Humanitarian operation. On the other hand the attitude of US and its allies towards Yahapalanaya Government had become friendly (as it says) due to the fact that Architects of Yahapalanaya Government have facilitated US and its allies on their own volition to implement the proposals set out in Joint UNHRC Resolution 30/1 being its co-sponsor. Constitutional Reforms, Reconciliation, Inquiry into war crimes, missing persons, restoration of the status-quo of Rule of Law, Accountability, Devolution of power, Updating of Human Right Record of Sri Lanka up to the standard acceptable to UNHRC and US etc. are considered main issues focused in Joint UNHRC Resolution 30/1. Let us examine the credibility of these proposals and what would be the impact of implementation of these proposals in this country? Constitutional Reforms are considered one of the major proposals. Need for a fresh constitution seemed two fold. It is not possible to implement the proposals set out in Joint UNHRC Resolution 30/1 under the present Constitution in spite of commitment given by Yahapalanaya Government being Co-sponsor thereto to do so. The Hybrid Court mechanism proposed to investigate and prosecute war crimes, abduction, missing persons etc. cannot be implemented within the definition given of the judiciary in chapter 15 of Present Constitution nor is it acceptable to the legal procedure of this country. For an instance there is no provision in this mechanism on applicability of the Evidence Ordinance in the process of evaluating admissibility of evidence available on missing persons. The other point is that devolution of power up to the level acceptable to the pro-Elam Tamil Political parties such as TNA, Tamil Diaspora and also to Joint UNHRC Resolution 30/1 cannot be implemented under present Constitution due to the fact that Articles 01 and 02 of Chapter 01 of the Constitution are clashed with that kind of devolution. Article 02 of Chapter 01 of the Constitution states “The Republic of Sri Lanka is a Unitary State”. However the proposal set out in the Resolution 30/1 has been stressed on granting autonomous status for the Tamil Community in the North which could be lead to an irreparable crack on unitary status of Sri Lanka in the long run. Abolition of Presidency through Constitutional Reforms is another proposal. If this proposal is implemented it would pave the way for a weak Government under multi partisan politics and it could also intensify destabilization of this country due to lack of constitutionally empowered strong leadership under Executive Presidency. Replacing strong leaderships with weak and pro-US leaderships in the process of Global Powers Politics seemed to be one of the common strategies adopted by US and Allied Forces. Formation of Yahapalanaya Government is considered one of the classic instances of above tactic of US. Abolition of Executive Presidency seemed to be an accomplishment of the above strategy. In the process of Reconciliation, accommodation, collaboration and compromising of the views and proposals of each party above referred to with that of the views and proposals of the rest involved in Ethnic Conflict, evaluate them together and make a common solution acceptable to all parties who are involved in the conflicts are absolutely necessary. What is happening at present in the process of Reconciliation is that TNA, Tamil Politicians, UNHRC and Yahapalanaya Government have joined and dictate terms and conditions to the majority community disregarding the aspirations and views of the latter. In that context Reconciliation would serve no purpose other than dragging of conflict situation beyond the reasonable boundaries of resolution. Success of ongoing reconciliation process in that context seemed to be extremely blurred and discouraging. "Replacing strong leaderships with weak and pro-US leaderships in the process of Global Powers Politics seemed to be one of the common strategies adopted by US and Allied Forces"
UNHRC led by US and allied Forces, and pro-Elam Tamil Political parties led by TNA, Tamil Diaspora are considered stakeholders of the conspiracy against this country above referred to. Yahapalayana Government has involved in this team being co-sponsor to the Joint UNHRC Resolution 30/1 on its own volition. All of them have their own agendas based on their individual interests. US and Allied Forces are not prepared in any case to give up implementation of these proposals through UNHRC or directly by themselves. They have determined to use these proposals to ride on Yahapalanaya Government like rein being used to control horse. What would be the fate of this country under Yahapalanaya Government in such situation? In that context, implementation of the proposals of Joint UNHRC Resolution 30/1 would materialize the interest of its stakeholders. In serves no purpose of the masses of this country.